Mobile telephony has penetrated the developing nations across the world. From a bus driver to a high flying executive, everyone has one these days. Many carry more than one mobile or have multiple sim cards. Whatever be the situation, mobile handsets have become the most important component of our lives – so much so that all of us wonder how we managed to live before their advent. From texting to using phones for social networking, mobiles have become an inherent necessity. 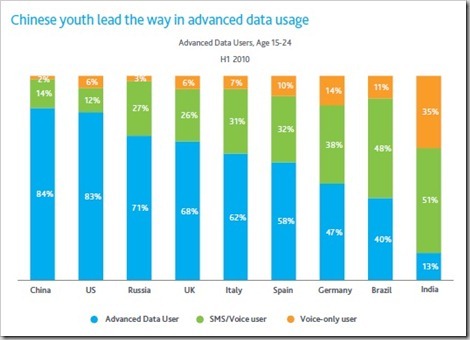 In the light of this, Nielsen’s survey – Mobile Youth Around the World – of 1.2 lakh youth mobile phone users across Brazil, Russia, India, China, Vietnam, Germany, US, UK, Spain and Italy throws some interesting insights. 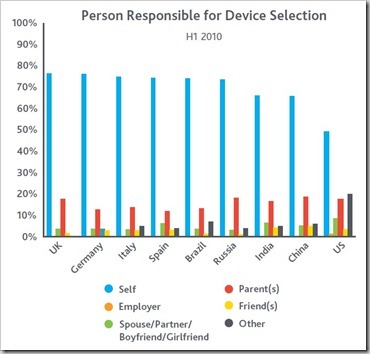 The usage varies across cultures, demographics, preferences etc. India has the lowest smartphone penetration at 10% compared to China’s 29% and the highest in Italy (47%). Though the number of male smartphone users in countries like India, Germany and Italy is very high at more than 65%, its almost equal in Russia, UK and US (where men own lesser smartphones than women). Interestingly despite the proliferation of multiple SIM card phones, only about a maximum of 29% in Italy use such phones. In India and China the number is even lesser at around 15%. Majority of the youth make their own decision while buying mobile handsets and only about 15% consult their parents before making the decision. Indian youth lead among those from other countries in that 40% of them hold price as the most important factor for buying a mobile device and more than 97% still use prepaid services. Prepaid services are still common across the developing world like China, Brazil etc. 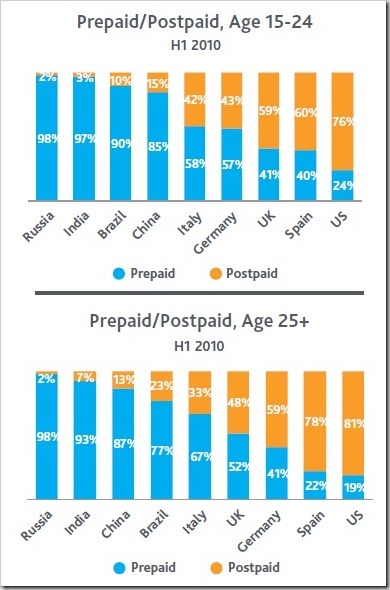 While it’s the exact opposite in UK, US, Germany where more people use postpaid services. In terms of data usage like mobile Internet, apps etc. China leads the world with more than 84% using these services. 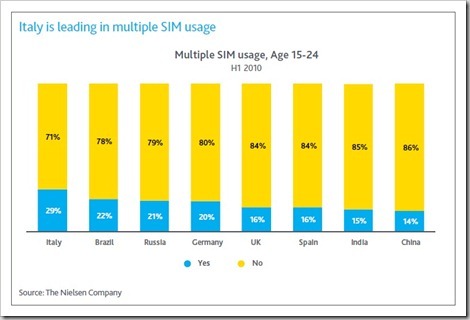 On the other end of the spectrum are Indian youth, only 10% of whom use such data services. Voice and text based services still rule the roost in India. Although, this survey does not show data usage highly amongst Indian youth, a year down the line, things might be quite different, especially due to launch of 3G services in India.. What do you think ? Indian Railways – Desperate times ahead? India Leads Ad spending in Asia Pacific! Aseem – great hard work. Just my feedback (and don’t speak for other readers)- No offense to you but the number of mobile related posts on Trak is just too much taken in a week/ month – and I as a regular reader am really not interested in this oft written topic… it could probably be more apt on TGF? And more posts for other topics related to Indian business, economy, technology, R&D, Agriculture, Startups etc could be written its place?